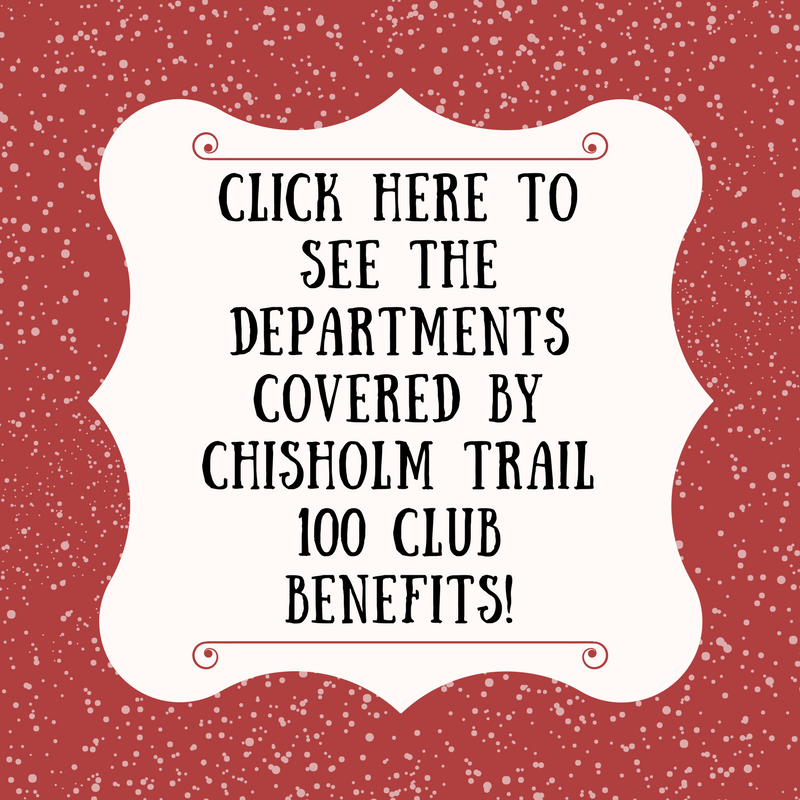 As of January 1, 2018 Chisholm Trail 100 Club adding additional benefits to the First Responders in ourcoverage area (currently Johnson and Somervell County). For the past seven years of our existence we have been proud to offer $50,000 line of duty death benefits and smaller injury benefits. 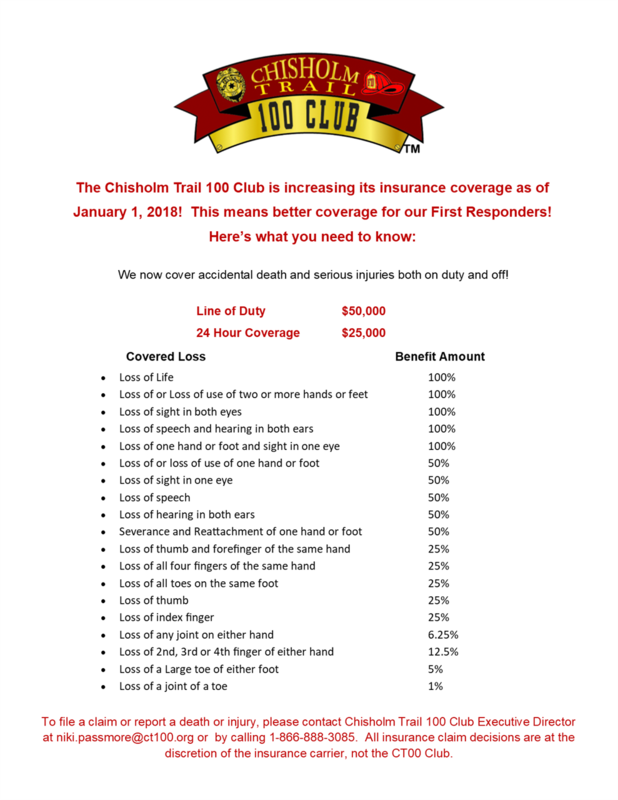 As of January 1, 2018, we added serious, career ending injuries to our benefits, with a possible payout of up to $50,000 based on a sliding scale depending on the severity of the injury. Also new, we added off duty coverage to our benefits, up to $25,000 for accidental death and serious, career ending injuries. This is a significant increase in our benefits for First Responders, we are excited to provide for those brave men and women putting their lives on the line everyday.